After the morning manatee tour relax with a nice lunch from local restaurants and make a day seeing what the Florida springs have to offer. No matter how the visibility is where you dive Rainbow River Florida Springs Drift Dive is unmatched with crystal clear spring water and over 200 feet of visibility. This drift dive or snorkel can be enjoyed by the whole family. See many different varieties of fish, turtles and other wildlife up close. Discover fossils coming out of the different springs dotting the bottom. At the end of the drift is a small cavern where the fish hang out in abundance. 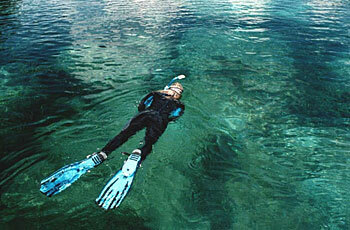 After your morning manatee tour, Rainbow River Springs Drift Dive is a great way to finish your day. Very relaxing.